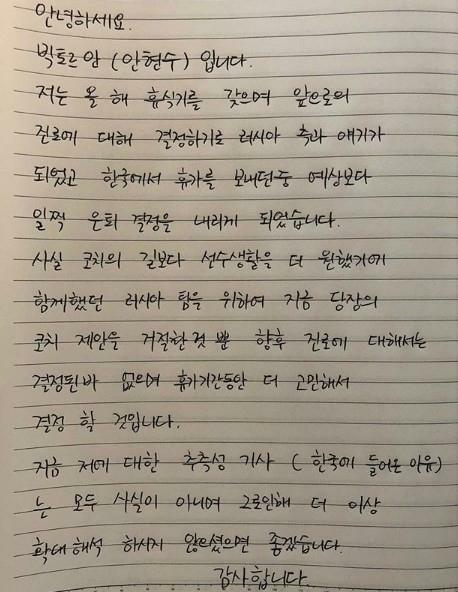 South Korea-born Russian short-track speedskater Victor Ahn uploaded on his Instagram account Monday a handwritten letter confirming his retirement. However, he dismissed rumors surrounding his return to Korea. He revealed that he has no clear plans regarding his career for now. Ahn’s retirement was first announced on Sept. 5 by Alexei Kravtsov, president of the Russian Speed Skating Union. Ahn won three gold medals when he competed as Ahn Hyun-soo in the 2006 Winter Olympics in Turin. 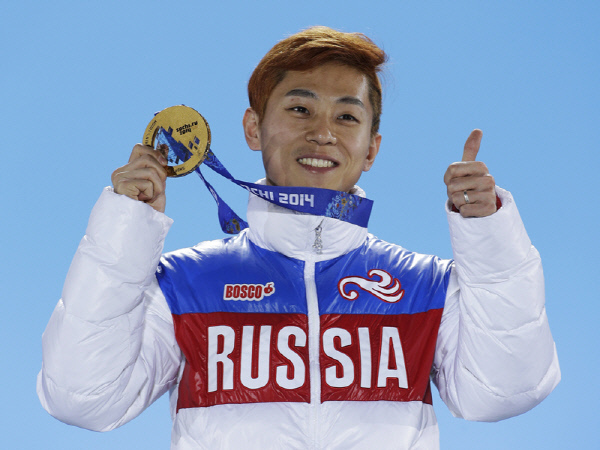 He was granted Russian citizenship in 2011 and won three gold medals again at the 2014 Sochi Winter Olympics. Ahn was barred from participating in the 2018 Pyeongchang Winter Olympics due to doping allegations.